Today, whaling is a dirty word. People turn aside from the idea of men sailing to the Arctic and Antarctic to pursue and slaughter whales. Yet for over 150 years, whaling was a respectable Scottish industry that employed thousands of men and an unknown number of women. The masters of whaling ships were among the elite mariners in their home ports, and men chose to sail to some of the most hostile seas in the world. There were many whaling ports in Scotland, including Leith, Dunbar, Montrose, Aberdeen, Peterhead and Fraserburgh, but of them all Dundee is arguably the most interesting. 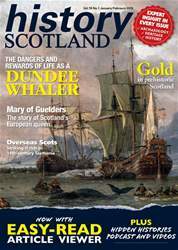 The Dundee Arctic whaling industry lasted longest, from 1752 until 1914; Dundee was the last major Scottish whaling port; Dundee pioneered steam whaling; and Dundee mariners were also involved in polar exploration. For these reasons, and because Dundee has a plethora of records that are easily accessible, this article will concentrate on that couthy, friendly, boisterous east-coast city. 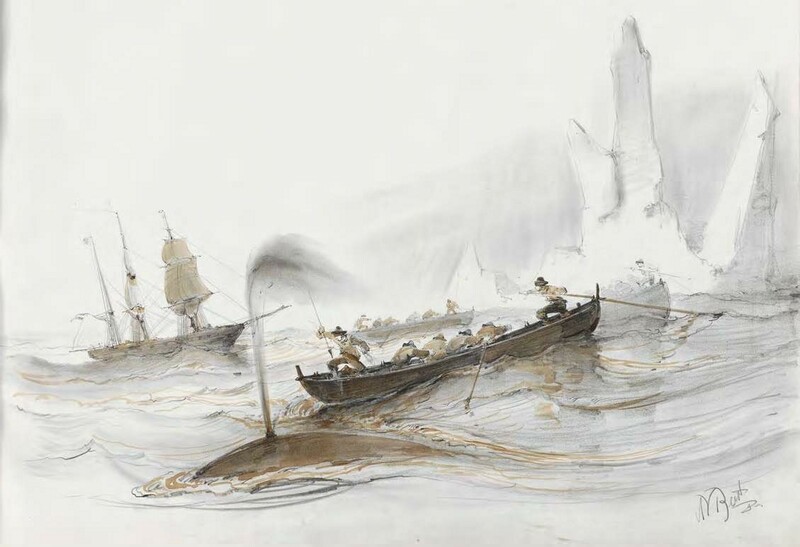 Although time has altered perceptions so that what was once deemed necessary is now scorned, nobody can ever deny the hardihood of the ‘Greenlandmen’, the whaling seamen. The Montrose customs and excise records, held in Dundee City Archives, can conirm the danger with an entry from March 1797: ‘No accounts whatever have been had of the ship George Webster, whence it is inferred that she must have foundered at sea’. 99 British whaling ships sunk at sea or in the ice between 1815 and 1834, with around six per cent of whaling voyages resulting in the loss of the vessel. Add accidents on board or when whaling, plus the possibility of disease, and it can be seen that whaling was not a safe occupation. It was undoubtedly not a career that everyone sought. Some seamen were like John Nicol, who only sailed on a single voyage to ‘the coast of Greenland’ on the London whaling ship Leviathan before deciding that the life was not for him. Nicol sailed shortly after the end of the American war of independence, probably in 1784. ‘I did not like the whale ishing’, he wrote in his memoirs, ‘desolation reigns around.’ After one trip, Nicol ‘resolved to bid adieu to the coast of Greenland for ever’. But other seamen spent a working lifetime in the fogs and ice of the polar seas.